Every week, Vulture runs through the best, most interesting, and sometimes most confusing rap releases. In this installment: Wiz Khalifa and Curren$y reunite, are still really into weed. The producer Small Professor constructs an excellent posthumous album for gravelly voiced rapper Sean Price; Earl Sweatshirt’s friend and collaborator Navy Blue finds his voice; and AJ Tracey uses British rap to hop genres and moods. It’s hard to romanticize consistency, but if anyone has been able to work steadiness into his own myth, it’s Curren$y. The New Orleans native has been kicking around since the apex of No Limit Records but established himself, in the latter half of the 2000s and throughout this decade, as one of rap’s most reliably good-to-great workhorses, churning out dozens of albums and mixtapes that are often inventive and always hypnotic. The Pilot Talk trilogy, his work with the Alchemist, and the slew of hazily poised songs scattered through RSS feeds for years on end made him a sort of cult hero. There’s a similar, though far lazier and far more profitable, mechanism at work with Wiz Khalifa. By the time he broke through, at the peak of the blog-rap era, with 2010’s Kush & Orange Juice (a good mixtape elevated by revisionism and nostalgia), the Pittsburgh native had already put out a series of promising records with winking titles like Flight School and Burn After Rolling. The best of these, called How Fly, paired him with Curren$y. But Atlantic pushed Wiz to the top of the pop charts almost immediately after announcing his signing, and by the time Kush & Orange Juice was 18 months old, Wiz had three top-ten singles, including a No. 1 in “Black & Yellow.” In the years since, he’s drifted into a strange lane — one that runs largely parallel to the rest of mainstream rap, but which still allows him to sell out stadiums. Wiz seldom feels part of [gestures manically] the conversation, but has a better relationship with Maroon 5 than the rappers who do. Ten years after How Fly, 2009 aims to capture the bubbling nostalgia for early Obama-era rap. 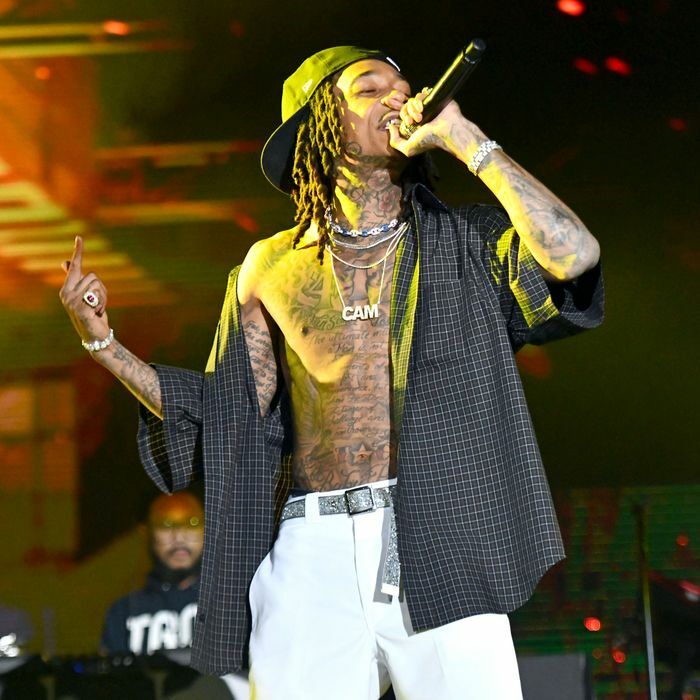 It succeeds in fits and starts: There are pleasingly stoned songs like “10 Piece” and there’s the pulsing Problem collaboration called “Getting Loose.” But the tape is marred by rocky production (there are hammy drums and goofy synths) and occasionally lets Wiz sink too far into that pit of oversold, underwritten punch lines. But Curren$y is solid throughout — he locks in especially on closer “Forever Ball” — and at his semi-frequent best, Wiz plays up to the level of competition. 2009 does conjure the year, but the machine keeps moving. Speaking of steadiness: From the beginnings of the New York–based ’90s rap crew Boot Camp Clik through 2012’s Mic Tyson — the last solo album to be released before his tragic death three years later — Sean Price was a force of nature. Though thoroughly deserving, it felt like a stroke of luck when his 2005 album, Monkey Barz, became a sensation among underground and digital-native rap fans, cementing P as a rapper’s rapper who would snap other rapper’s rappers’ spines with his bare hands. 86 Witness is produced entirely by Philadelphia’s Small Professor, whose beats get cacophonous and heavy without losing their playfulness. There are odes to Refrigerator Perry and John Gotti. P is still invigorating and gruff and slyly funny; his voice is paired here with old friends like Rock, his partner from Heltah Skeltah, and with new East Coast and underground guards that include Elucid, Curly Castro, and Quelle Chris. Missing are the Gothic stakes that often crept into the canonical Sean Price albums, but that’s fitting for the new project, which is lighter and freer than nearly all of its predecessors. In the way nearly everyone and everything is tokenized, British rappers are nearly always framed, Stateside, as being broadly representative of a specific sound, style, or region of their homeland. But what makes AJ Tracey’s self-titled album compelling is its willingness to hop genres and moods. While the self-explanatory “Country Star” works mostly as novelty, it’s Tracey’s lapses into dance hall and garage (“Butterflies” and “Ladbroke Grove,” respectively) that do the most to sell him as a technically proficient and musically gifted rising star. The album opens with a trio of gloomy cuts that unavoidably recall West London, but ends with far more experimental fare, plus a supremely confident back-and-forth cut with Giggs. One of the strange things about Earl Sweatshirt’s excellent Some Rap Songs, released late last year, was the fact that Earl took cues, by his own admission, from the Bronx-bred rapper Mike. Though talented, Mike began his career as a carbon copy of what Earl had been doing. But as Mike explored different nooks of that sound and found a more distinctive writing voice, the snake circled back to its tail, and the two artists forged a relationship as friends and collaborators. Navy Blue is the rap project by the professional skateboarder and model Sage Elsesser; he appeared under that assumed name on Some Rap Songs. On this solo collection — largely self-produced and piano-led, entirely lo-fi and always looking inward — he juts out just a bit from the creative collective that he and his friends have formed, less misanthropy, a little more spiritual. He’s very unpolished as a rapper, and occasionally struggles to sell the lines that are meant to wring something out of his misery. Pleasant, if a bit familiar.